Heat oil and sautéed garlic till fragrant. Drain and set aside. Fry shredded ginger till crispy. Drain and put together with garlic. Keep the fragrant oil for sauce later. Clean fish and pat dry. Marinate with seasonings, then dust with cornflour lightly. Place slice ginger on serving plate and put codfish on top. When water is boiling, steam fish for about 7 minutes depending on thickness of fish. To check if fish is cooked, use toothpick to insert into it. You should be able to pull out the toothpick easily if fish is done. Heat oil and add sauce. Stir till sugar melts and pour over fish. 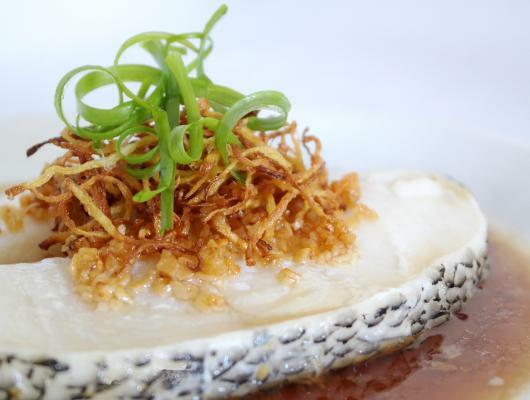 Top with scallions, crispy ginger and garlic, and serve your delicious Fragrant Steamed Cod Fish! 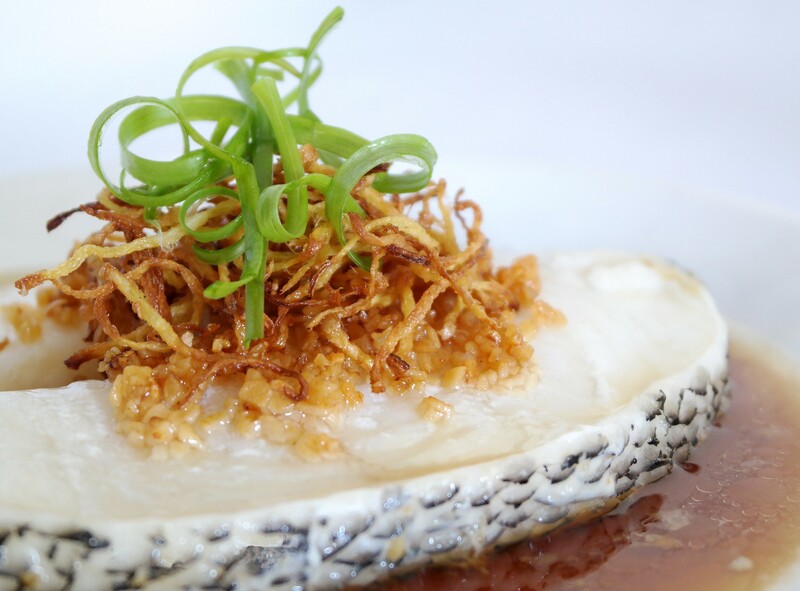 Tender and succulent with flaky white flesh falling apart at the touch of a fork is this Fragrant Steamed Cod Fish with Crispy Ginger and Garlic.